Another trailer fire in the area has claimed lives – this time an entire family of six. 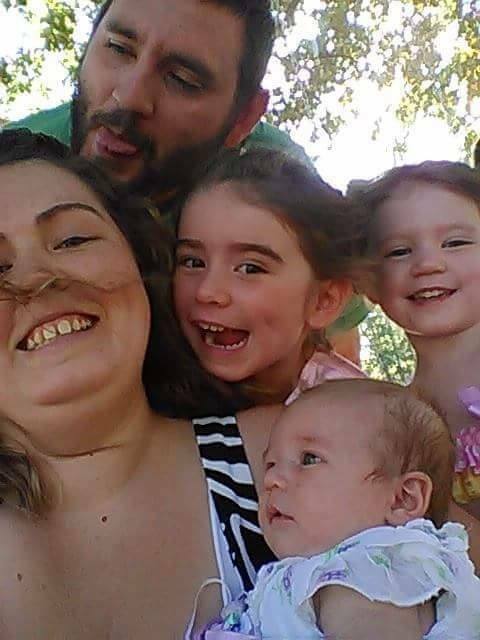 Parents Brad and DJ Jones, their young children Clair, Lola, and Olivia, and cousin Jada Kendrick all died in the flames when the Airport Road, Trion, singlewide they called home caught fire around 10:30 last Sunday night. Fire investigators say the blaze was likely started by an improperly installed wood heater; They suspect the stovepipe set a wood panel wall on fire inside the trailer only hours after the stove was purchased and set up. The adults are said to have died attempting to rescue the children. There are some GoFundMe donation links floating around for this family, some are legitimate but some are unfortunately not. If you want to help, we suggest you make a donation in their name to Regions Bank or United Community Bank, because they won’t take a cut of what’s donated and you can be sure the survivors will be helped with expenses when you give that way. 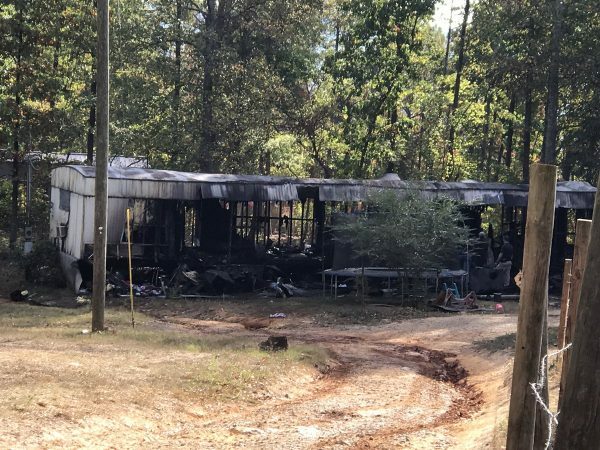 If nothing else comes from this tragedy, it can at least serve as a tragic reminder of the importance of checking heater safety and fire detectors in your home. Prayers and deepest sympathies for the Jones’ surviving family and friends. 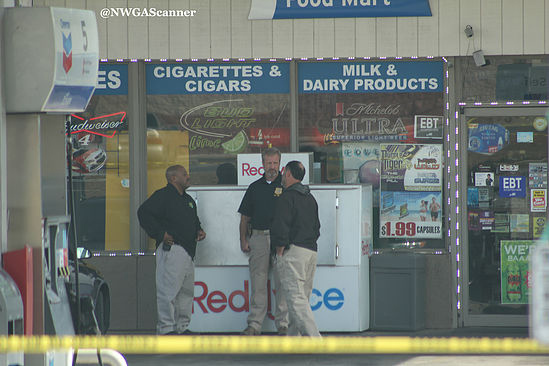 This Wednesday, law enforcement finally took action against long-rumored and often-reported illegal gambling activity at the Indian-owned Chevron station on North Main at Hendrix Street, across from CVS. The owners and/or employees face potential felony charges for what’s allegedly been going on inside the store. The Chevron station and other assets involved in the crime could also be taken by law enforcement under asset forfeiture laws, even if the charges are never proven. 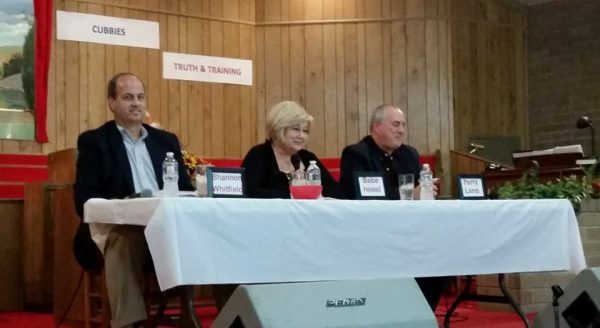 During a recent meeting, Walker’s three candidates for commissioner were asked how they would improve Rossville after taking office. They all had suggestions; surprisingly none of them suggested burning it down and starting over. Heiskell, Lamb, and Whitfield all appeared together again for a televised debate on UCTV last Tuesday night. Video from that hour long session will be shared soon as we have it available. The election is a week from next Tuesday; Saturday early voting will be tomorrow. 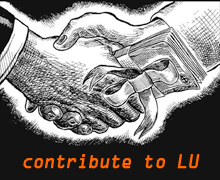 Is real transparency in local government possible? Not just compliance with the law, but transparency that benefits the people and truly makes information available by the easiest means. 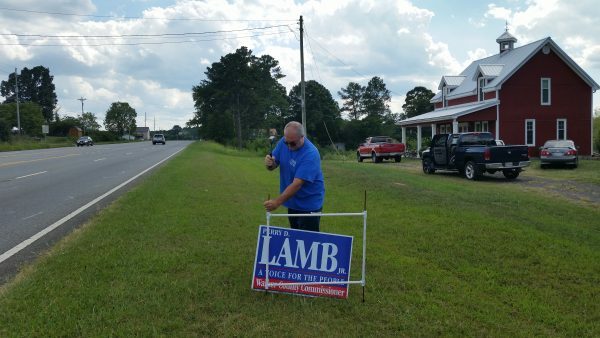 Perry Lamb Facebook, 10/16/16: “During this race for the next Commissioner of Walker County it has been interesting to hear how, at times, my opponents have used the word “transparency”. I, for one, fully believing in the Constitution, feel that I should not only speak of it, but give specifics. I believe the people of this county should have the ability and resources available to quickly and easily locate financial information regarding how their tax money is spent. In today’s modern times, one of the easiest things that I intend to implement will be public access to this financial information without having to go through an open records request and pay for information that should be openly available to them. Walker County currently has a website that can be improved upon to give access to this type and other information without much difficulty. We feel Lamb is sincere in this, and will hold him to this commitment once he’s elected – if you do your part and give him your vote. Tonight the 2-6 LHS Ramblers will play their final home football game of the year against the 4-4 Pickens Dragons. Next week the season will end in Ellijay, so if you want to cheer for the team without driving for an hour this will be your last chance. A wreck around dinner time on the bypass at 136/Villanow St. Thursday sent one to the hospital, condition unknown. 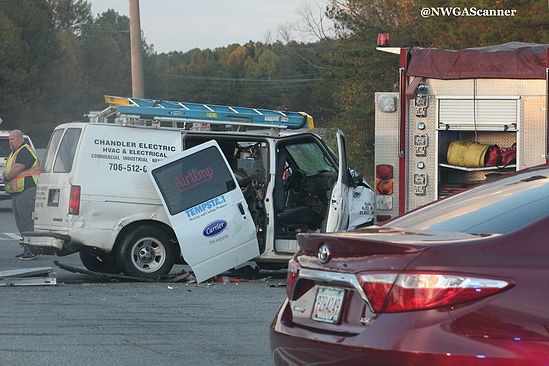 A business van from Chandler Electric with one occupant stuck a LaFayette city fire truck. Don’t treat your kids like an unwanted animal. It would be wrong to even do an animal this way, allegedly etc..
WQCH Radio, 10/25/16: “LAFAYETTE POLICE ARE CONSIDERING WHETHER TO PLACE CHILD ABANDONMENT CHARGES IN A CASE BROUGHT TO LIGHT THIS WEEK. “THE REPORT WAS MADE BY THE GIRLFRIEND OF THE CHILDREN’S FATHER, AFTER THE TWO KIDS MADE AN UNEXPECTED SHOWING AT HER DOOR. THE FATHER IS CURRENTLY IN THE CATOOSA COUNTY JAIL. “ASKED WHY THEY WERE AT THE GIRLFRIEND’S HOUSE, THEY SAID THEIR MOTHER HAD DROPPED THEM AT THE PITSTOP ON EAST VILLANOW IN LAFAYETTE, AND SIMPLY TOLD THEM TO ‘GET OUT’. THEY PLANNED AT FIRST TO WALK TO THE REC CENTER, BUT DECIDED TO STOP AT THE FAMILIAR HOME, INSTEAD. THE COMPLAINANT SAID SHE OVERHEARD PHONE CONVERSATIONS BETWEEN THE CHILDREN AND THEIR MOM, AND LATER TOLD POLICE SHE HEARD THE WOMAN TELL THE KIDS THAT ‘SHE DIDN’T CARE WHERE THEY WERE OR WHAT THEY WERE DOING’. “THE JUVENILES ASKED THEIR FATHER’S FRIEND TO TAKE THEM TO THEIR STREET AND DROP THEM OFF, SO THEY COULD QUOTE: ‘SNEAK INTO THE HOME THROUGH THE DOGGIE DOOR’ WITHOUT WAKING THEIR MOM. Seems like LPD would have plenty of reasons to charge the mom but maybe there’s more to it than reported. The mom in this case, who identified herself in comments on LU Facebook, says the children are older teens, not babies, and the whole thing is a setup to get her in trouble. Three final shows of “War of the Worlds” at Mars Theater will be tonight and tomorrow. Go get your pre-Halloween scare on. $600 dinners, $500-per-night hotels, and airline tickets that cost fifteen grand. You probably haven’t had any of that, but a good number of Georgia employees (working for state colleges and the Ports Authority) have – and paid for it with their state expense accounts, which were paid for by you. What can be done? Only state legislators, asleep at the wheel, can take action. 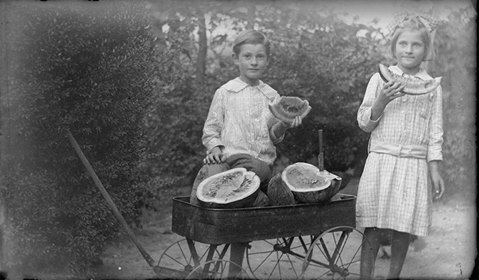 Watermelon in Walker, a hundred years back. Chattavore reviews Bob’s Brick Oven. If you’ve eaten there, you can guess how well they enjoyed it.